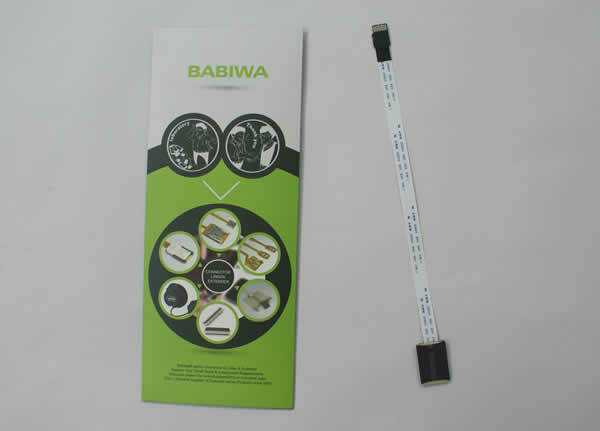 Babiwa.com World No.1 Multi Simcards Series and Extension Cable Series Products Supplier and Online Store Since 2002. 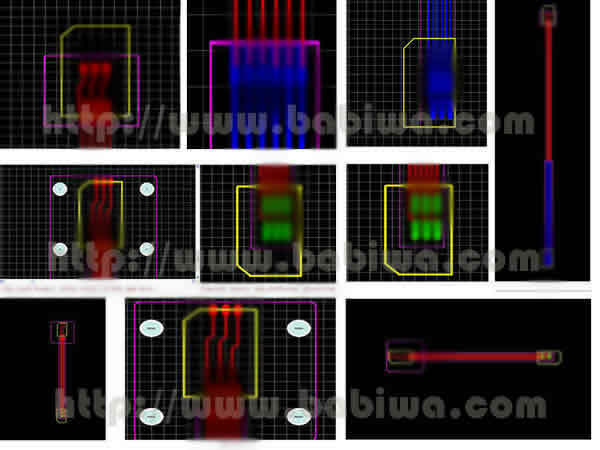 The Only Professional Manufacturer Supplier of Multi Function Electronic Patch since 2002...Quality Guarantee. We ship to worldwide. 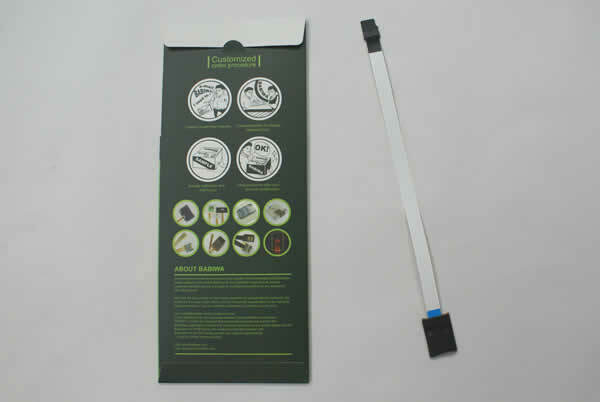 The Extention Cable from Universal MicroSD(TF) Slot. Support Any devices (brands,models) using microsd card. You could also use it as Extender or Linker when your device has built-in Micro SD (TF) Memory Card Slot and you need to extend it outside. Based on Universal Micro Sd Standard , Support Universal Micro Sd card from Any Brands,Compatible with Any micro-sd card from Class 1-Class 10. The Only Strengthened Version Made by Unique Double-Sided FPC (Flexible Printed Circuit ) Technology, Improved from our last version of Single Sided FPC , which could support Repeated Use(especially twist and bending) of Connection line including Micro Sim Card Socket and Connetor End.Better and Reliable Than any other Common and Fake versions easy to found in the market. if you have any other special requests or need customized order (your own design,logo,packing etc),welcome to contact us at first for inquiry. for samples,usually we provide Free Shipping via Trackable Registered Airmail Through Post Office to Worldwide Area.if you need the delivery faster,you could choose faster express courier as Fedex Dhl or contact us for more shipping choice. After your order and payment ,we will dispatch your package within one work day upon your payment is confirmed. The customer will get our email notification including tracking number The same day when the package's on the way. Option1: Click "Add to Cart" button and place order at online store, you could complete the payment (via paypal or skrill,creditcard etc) at the same time. 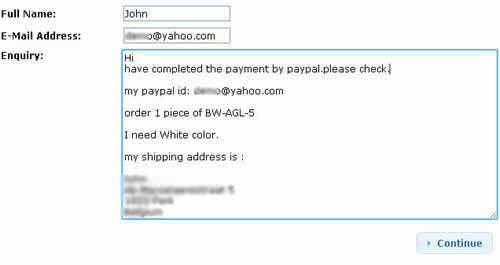 Order Confirmation will be emailed to you right away after your order. OR Click Button below then choose "checkout with paypal" button. After your payment ,Please email us to confirm your order, You will receive our email confirmation within one work day and the tracking number will be also emailed to you within 1-2 work days. email us your order and shipping details after your payment. Option3: Choose any other payment method (as bank wire,skrill,westernunion etc ) . Email us to confirm your order after payment, You will receive our email confirmation within one work day and the tracking number will be also emailed to you within 1-2 work days. Any problem or advice related to your order , please don't hesitate to contact us at any time,we will take responsibility for all of our shippings and will try our most to cooperate. You are welcome to leave feedbacks related to your order experience from our Online Store Feedback Forum. if you have been our registered customer, you could also login into your member area to check your order processing status at any time. Q: I tried to pay using credit card when placing order at your store,but my creditcard Failed to pass paypal or skrill gateway.then how can I buy now ? A: Don't worry,if your online payment failed ,you could still send the payment manually ,Then email us to confirm your order,we will process for you right away. 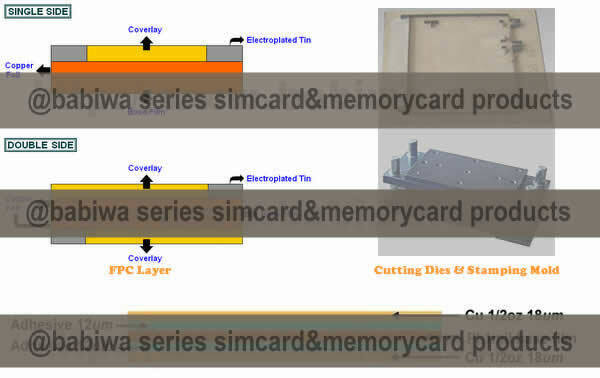 You are ordering from The ONLY Genuine Provider and Authorized Manufacturer of Simcard or MemoryCard Connector Linker Extender upon your own Design or Request. Part of our listing products have been applied for Authorized Design and Function Patents(including As Series Linkers). 1.the Newest Strengthened Version of Micro Sd externder .Connection Length around 9cm.The Only Strengthened Version Made by Unique Double-Sided FPC(﻿Flexible Printed Circuit ) Technology, Improved from our last version of Single Sided FPC , which could support Repeated Use(especially twist and bending) of Connection line including Micro Sim Card Socket and Connetor End. Better and Reliable Than any other Common and Fake versions easy to found in the market. 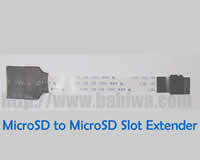 Compatible with Any micro-sd card from Class 1-Class 10. 3. Support Plug and Play.The most convenient way to test micro-sd on any electronics. Very easy to operate even for first user. We call it Plug & Play, No Any Complicated Technical Knowledge required.Very easy to operate even for first new user,Just insert ,plug and play. 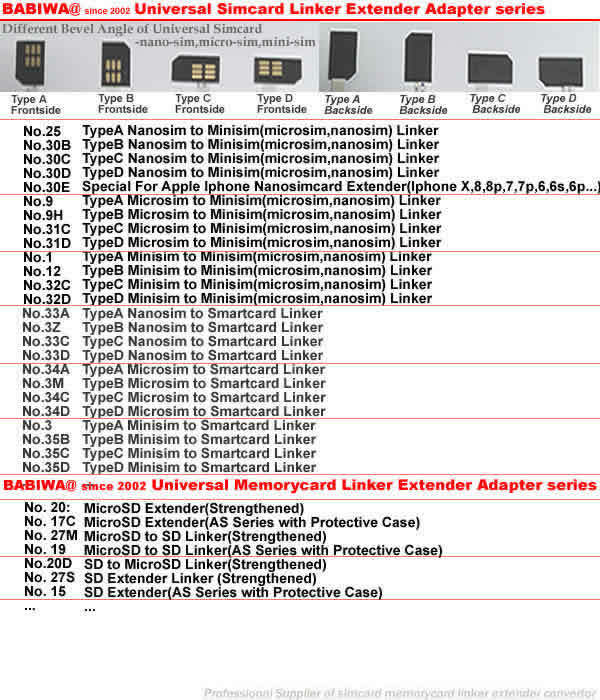 You are ordering from The ONLY Genuine Provider and Authorized Manufacturer of Simcard or MemoryCard Connector Linker Extender upon your own Design or Request.please refer to our ebay store for other connector types . Can't find the Appropriate Linker Extender upon your request ? Check our Complete Catalog List please. or Welcome to Contact us with any question. 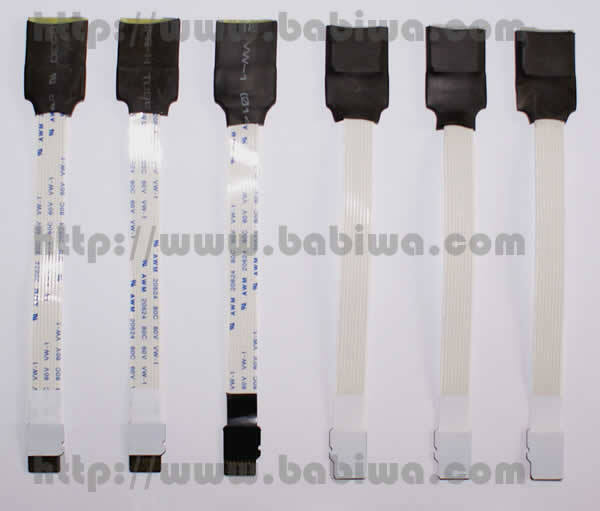 Welcome to refer to our other listings for Complete Multi Simcard Adapter Series. We have been the Devoted and Professinal Multi Function Electronic Patches Manufactuer & Supplier Since 2002. Discount Testing of Any Newer Version Especially Offered for All Regular Customers. Life-Time Free Technical Support and Advisory for All Regular Customers. One Year Quality Warranty for all of products .and after one year,we will be glad to provide any possible customer support yet for all of our clients. if you have any problem or concern about our products,please don't hesitate to let us know. if you get any problem about products ,price ,amount ,payment,shipping cost etc,please don't hesitate to Let us know. Any inquiries or problems,Welcome to contact us at any time. Click Here. 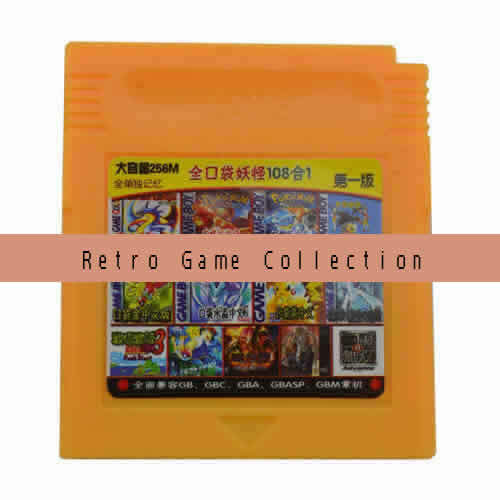 Gu Su Xin Chen Electronic Ltd.
Multi game card.108 retro games in 1 game cartridge.Compatible with GBC ,GAMEBOY Color Console.International Wholesale and Shipping. Write a review on this product!